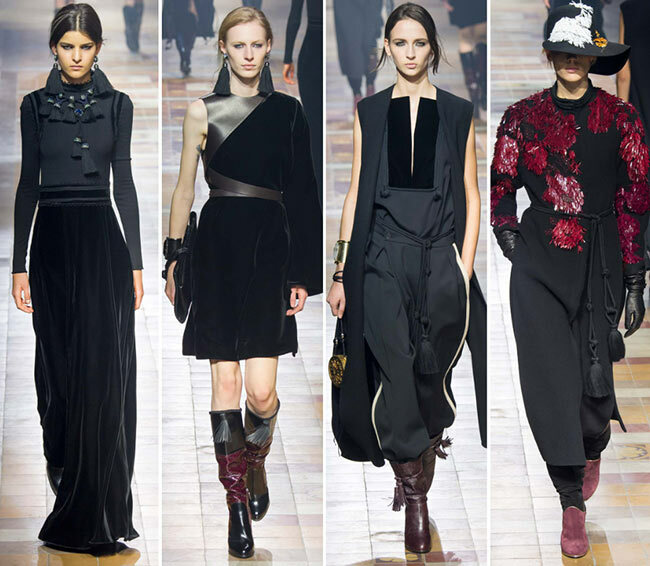 Alber Elbaz gives us a rather unique taste with the Lanvin fall/winter 2015-2016 collection that is superbly sophisticated and all that one would have wanted to see during the year after the 125th anniversary of the brand that was founded by Jeanne Lanvin in 1889 after her beautiful clothing made for her own children became well known and coveted by women in high society. She began making clothes for the children, their mothers and then some of the biggest names in Europe, before joining the Syndicat de la Couture in 1909. She became one of the most influential designers of the ’20s and ’30s, known for her intricate lace trimmings, virtuoso embroideries, and beaded decorations in clear, light and floral colors. 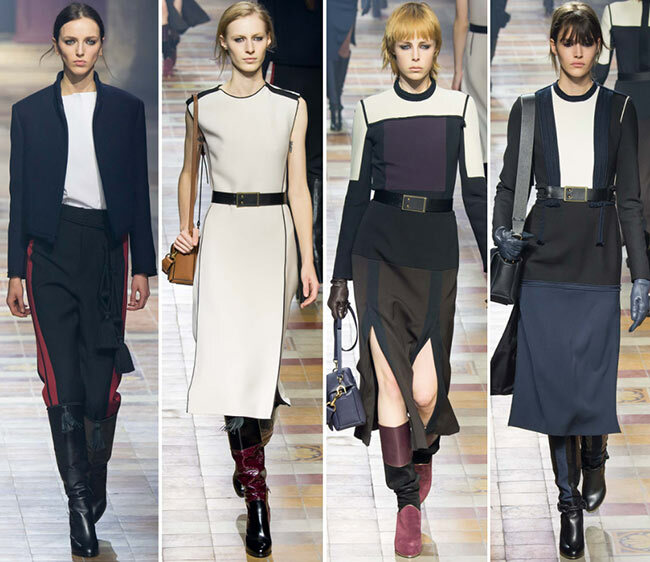 Lanvin is the oldest French fashion house still in operation. 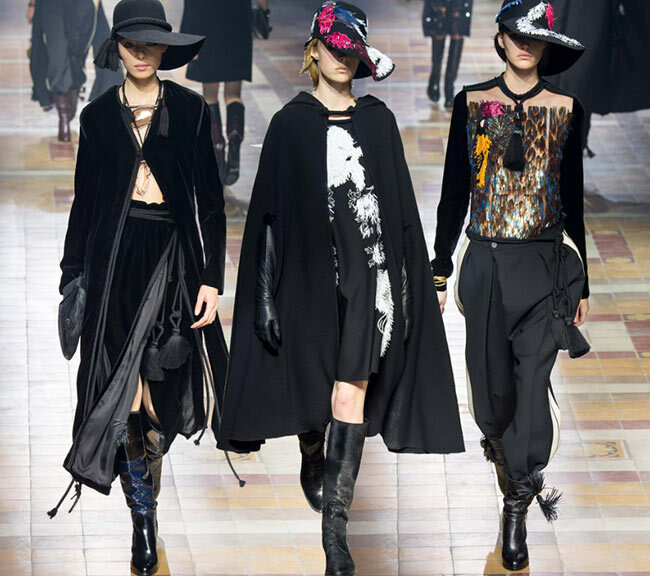 Alber Albaz has been the artistic director of all creative activities for the house since 2002 and still going strong, an Israeli fashion designer in his own right hailing from Casablanca, Morocco. 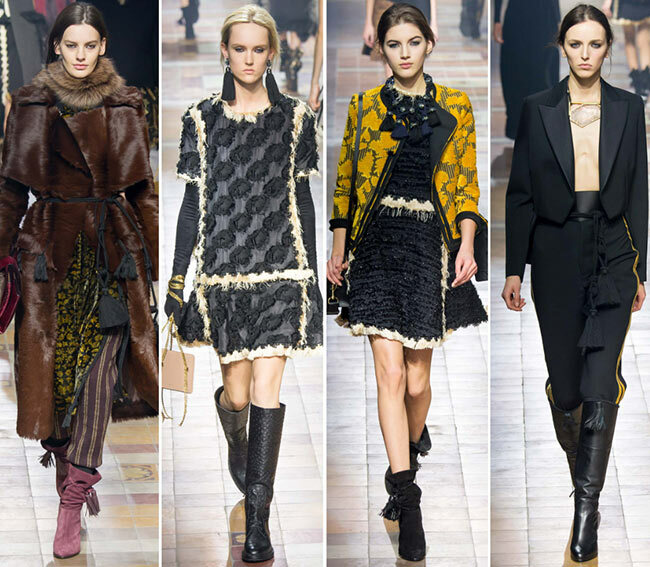 The Lanvin fall/winter 2015-2016 collection unveiled last night certainly put a spring in all of our steps and not just the Parisians, as Albaz used the nomadic inspirations from his Moroccan roots to bring some character into the designs. There was a certain seductive personality present here, with floppy fashionable hats and billowing gypsy dresses. 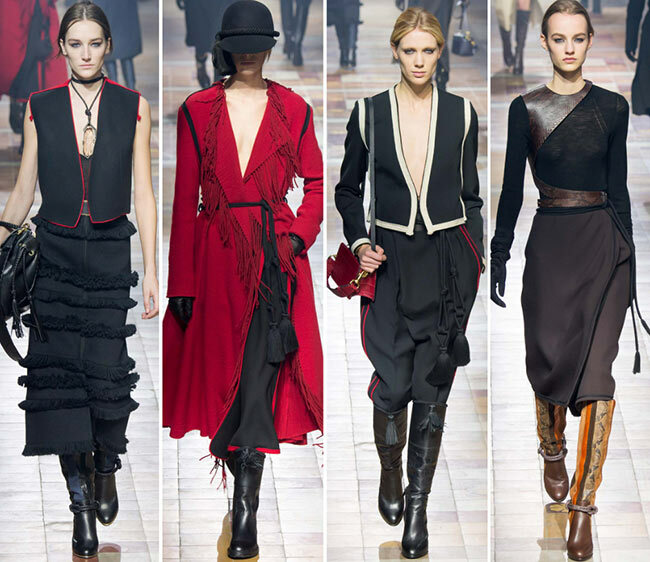 There are gaucho layers and the knee high boots give the whole thing some verve and flair with their luxe patchwork and gold tarnish, the trousers tucked in neatly while the hems of the skirts spiralled with fringes. 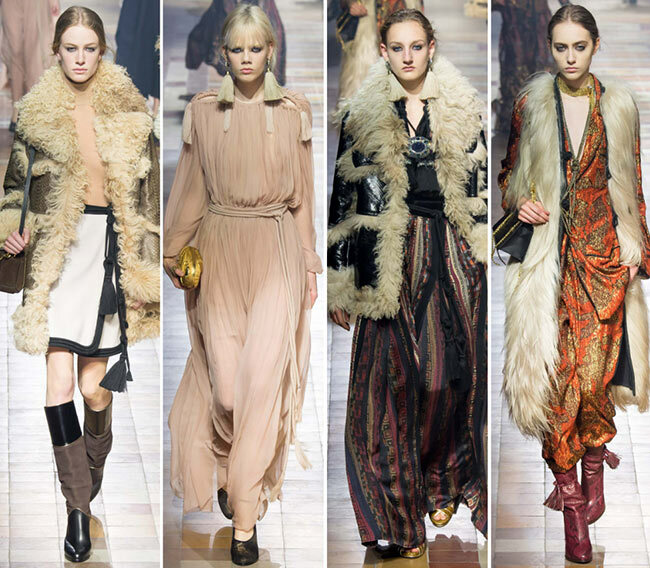 We saw large Tibetan-style blanket coats as well as molten prairie skirts while feathers were very much included throughout the line-up presented on the Paris Fashion Week runway. There were even a large amount of sequins that added a great amount of bling to the embroidered tunics, trousers, capes and caps at the end of the show. 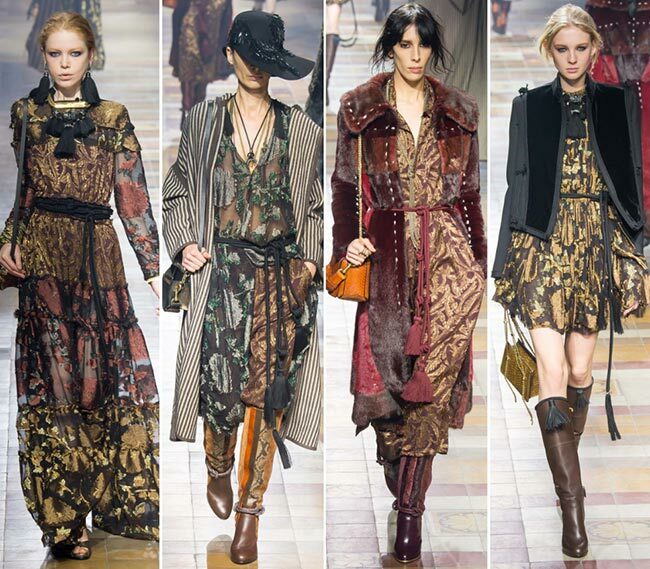 “The idea was to start with something totally nomad and urbanize it,’ stated Albaz. He opened with a boxy navy jacket over double red striped pants, the white top tucked in neatly and the knee high boots with tassels hanging from the center. It looked rather like a modern rendition of a Polo outfit. He brought us the latest in trends, with the high slits on the thighs and the plunging V shaped necklines, while his skirts were generally kept to a midi level. Moroccan inspired square constructions were a common sight throughout, including wrap skirts and simple tanks, trim jackets and lovely shifts. 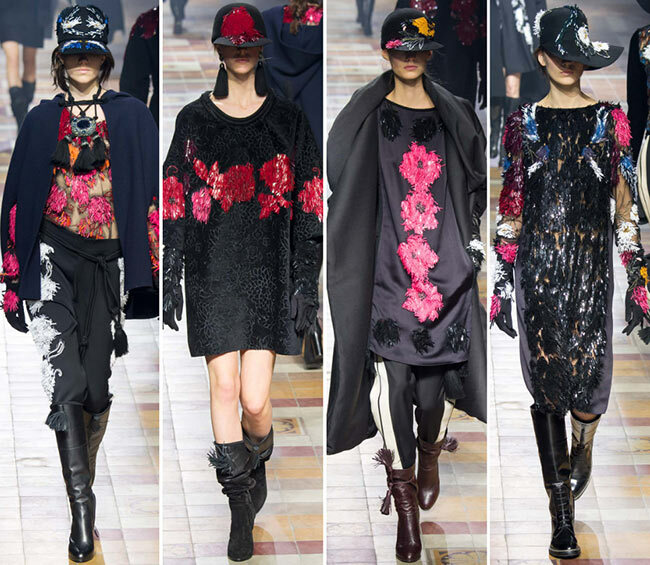 The materials were rich, the decorations lavish and 3D embroideries appeared on clean silhouettes. 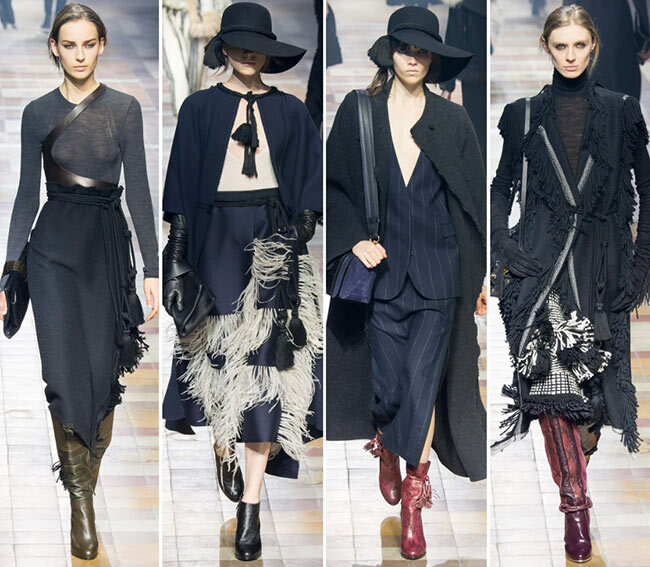 Lots of fringe and lots of feather, lots of pin stripes and many tops that showed off the braless figure were seen throughout. 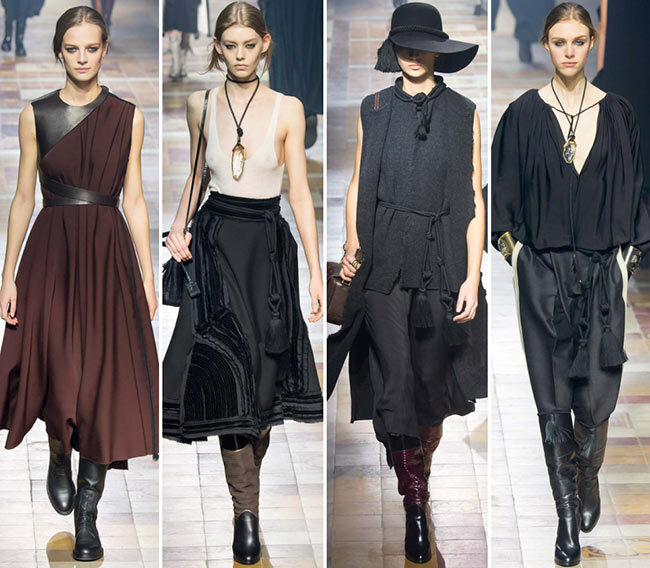 Beautiful gowns graced the runway, in solid chiffon and metallic jacquards. It was all chic and perfectly fashionable, with rarely an odd piece present. The Lavin brand definitely lived up to expectations as all those watching the show began making mental lists of all the pieces they would be adding to their closets, once they received their next paychecks.